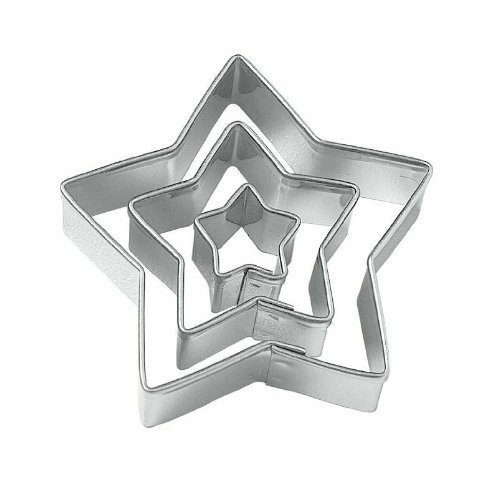 Star Cookie Cutters, Set of 3 Only $2.35 With FREE Shipping! You are here: Home / Great Deals / Amazon Deals / Star Cookie Cutters, Set of 3 Only $2.35 With FREE Shipping! Calling all bakers! Right now on Amazon you can get these great Star Cookie Cutters, Set of 3 for only $2.35 with FREE shipping! Condition: 100% Brand new. Material: Stainless Steel. Size: Approx. from 2cm to 5.5cm. Set of 3 different shapes. With cut-outs it is easy to make fun 3-D shapes for your fondant cakes and cupcakes. Just roll out the fondant, press down with cut-outs and lift away! Remove shapes with a small spatula.